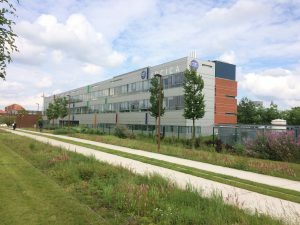 IRCICA : Research Institute on software and hardware devices for information and Advanced communication, is a Service and Research unit (USR-3380) associating the CNRS and Universy of Lille. Based on a hotel for projects structure IRCICA develops since 10 years a multidisciplinary research to imagine and create responsible technologies for information and communication. The way of working of IRCICA enables to gather in a same building researchers (CNRS or university) with complementary knowledge and competence to face the great scientific and society challenges with complementary approaches and/or interdisciplinary co-design since the beginning of the projects. For this 4 items IRCICA develops multidisciplinary or innovative researches with a strong support of technological platforms at the state of the art level in the field of photonics (Fibertech’lille), advanced communication systems (SigmaCOM) and virtual an immersive reality (PIRVI).